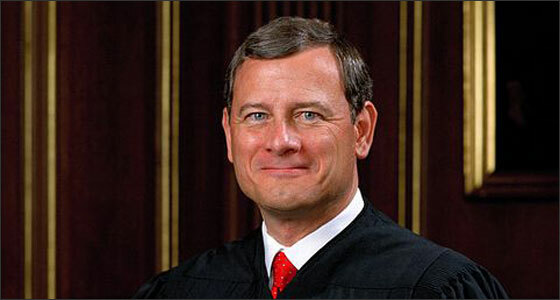 The Wisdom of Chief Justice John Roberts, Jr.The Wisdom of Chief Justice John Roberts, Jr. The Wisdom of Chief Justice John Roberts, Jr.
Charlie Munger is a big proponent of solving problems and optimizing through inversion. For example, if you want to live a happy, productive, and successful life it is probably more valuable to study those people who you think have been unhappy, unproductive, and unsuccessful. It is just as important to know what not to do and avoid those actions and decisions as it is to know what to do. Winning in life and in investing often comes first from not losing. Once we develop the guardrails of self-restraint, discipline, knowing what we’re good at and what we should avoid independent thinking, and stable emotional temperament, then we can focus on taking constructive action to earn the rewards. With this in mind, I came across a commencement address given by Chief Justice John Roberts to his son’s junior high school graduating class. He was graduating from an elite junior prep school in New Hampshire called Cardigan Mountain School. The speech was only about 12 minutes, two of which he used to quote from Bob Dylan’s beautiful song Forever Young. After hearing that he cited Dylan (as well as in a 2008 dissent) I was already favorably disposed to listening to the entire speech. In fact, the Washington Post said that it was the best thing he had written all year. After watching the address one can see that he is a gifted writer, speaker, and has a nice sense of humor. Roberts takes the approach of Munger by inverting. We all wish our children success, deep and meaningful friendships, compassion and empathy, and a sense of fairness. The following table represents his wishes for them versus the traditional ones and why he believes his are more valuable. Success Failure Success comes to those who are not afraid to fail and failing helps build up resilience to get up and try again. Be Treated Fairly Be Treated Unfairly In order to come to learn the value of justice. To Never Be Betrayed To Be Betrayed This will teach you the importance of loyalty. To Never Feel Alone To Experience Loneliness This will help teach you not to take friends for granted. To Never Experience Pain To Experience Pain Pain will teach you to learn compassion. He wanted the kids to know they are very privileged young men and they should not act entitled or above others in any way. They have been given great advantages and they should always be humble, kind, and friendly. He urged them, at their next school, to introduce themselves to the people “raking the leaves, shoveling the snow or emptying the trash.” Learn their names, smile, and call them by name. “The worst thing that will happen is you will become known as the young man who smiles and says hello,” he said. From my experience, my greatest growth and lessons learned have come from taking risks and not always succeeding. These setbacks helped build resilience and taught me how I needed to be much more cognizant of risks. It also taught me that rewards cannot come without taking decisive action. I have been able to appreciate the sweetness because I have experienced the sorrow. I also believe there is much more to be learned by what went wrong than what went right. And when analyzing what went right, that I should not downplay the role luck plays in the favorable outcome. The more ruthlessly objective I can be when it comes to my shortcomings and mistakes and humble about my successes, the greater chance of future outcomes being closer to my intentions. While not everyone may agree with John Roberts’ opinions and votes he registers on the court, it is hard to argue with anything he said in his commencement address. I am deeply appreciative for what he had to say and it is something I have shared with my kids and recommend you be open to doing the same. You have seen my thoughts on the subject, I would like to hear what your take away was from John Roberts’ speech.